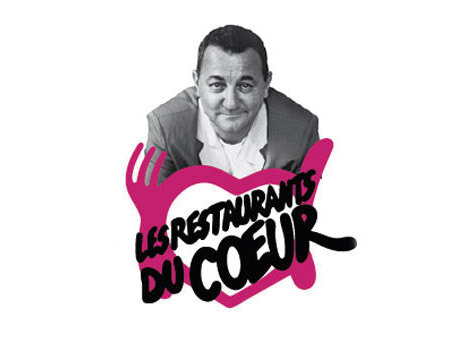 Les Restos du Coeur is a French charitable association which provides food packages and free meals to the poor and homeless, organised and served up by 45 000 volunteers around France. There were 417 such volunteers in the PO last year and more are always welcome, particularly if you have a skill such as IT, painting, help with form filling…. that you are able to pass on. Today, the organisation has 18 centres in the P-O and is expecting to distribute more than a million meals over the 2014 – 2015 winter period. They also run ‘Les Restos bébés du cœur’ for children, and are always in need of baby products and clothing, high chairs, prams, toys….. As well as donations of food, furniture, cutlery and crockery and of course any financial aid, Les Restos du Coeur badly need vehicles and more space for storage, so if you have a large empty building available, they would love to hear from you! Released in 2015, charity fundraising release by ‘Les Enfoirés’ (see below) provoked a bit of a storm. “Toute La Vie” , written by Jean-Jacques Goldman, set off a tense and bitter debate between the younger and the older generation. 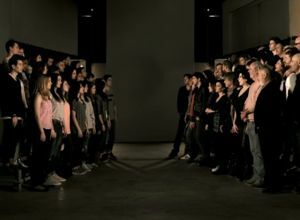 In a ‘West Side Storyesque’ confrontation, two groups of singers, one older, one younger, face each other, point and sing words such as…..
You can probably guess which group sings which!